SAN FRANCISCO, CA -- Google launched an aggressive challenge to consumer electronics giants like Apple and Samsung on Tuesday, introducing a new line of smartphones called Pixel and other gadgets designed to showcase a digital helper the company calls "Google Assistant." In announcing the new Pixel phones, Google executives touted features like a powerful camera, a long-lasting battery - and a dedicated headphone jack, which Apple recently eliminated from its latest iPhones. 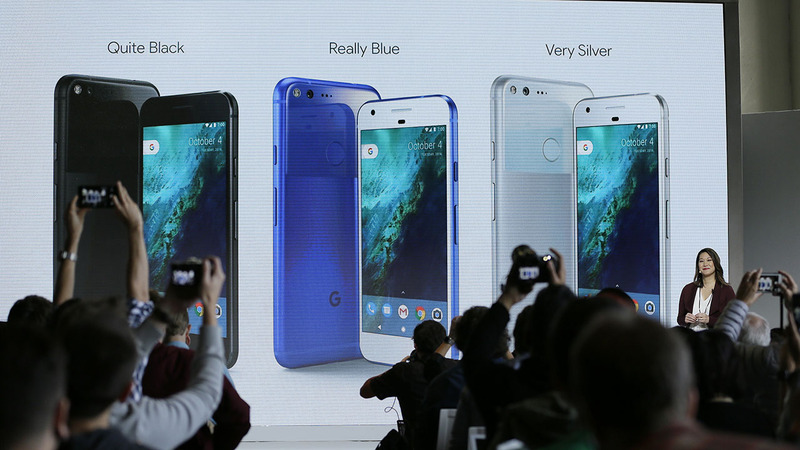 The Pixel phones will be sold in two screen sizes - 5 inches and 5.5 inches - and three colors: black, silver and blue. The products announced Tuesday also underscore Google's hope that its products and services will work better if the company designs its own hardware and software together - something Apple has long done. Android now powers the majority of smartphones sold around the world. But Samsung, the biggest maker of Android phones, has increasingly been adding more of its own software - even its own Samsung Pay mobile wallet - on the phones it sells. Another big rival, Apple, has built its own services, such as online maps and its own Siri personal assistant, to replace Google's apps on the iPhone.